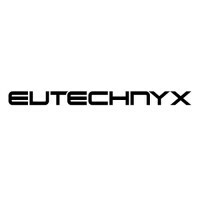 Eutechnyx are the UK's leading independent racing game developer. Their new mobile division has been breaking new ground in mobile strategy, debuting with their TIGA award nominated strategy title Ninja Cats vs Samurai Dogs. The Imperial Guard are coming to Storm of Vengeance! No Comments on The Imperial Guard are coming to Storm of Vengeance! Warhammer 40,000: Storm of Vengeance now live! No Comments on Warhammer 40,000: Storm of Vengeance now live!